Students in the UBC Master of Journalism program are selected through a competitive application process in their second year of studies. 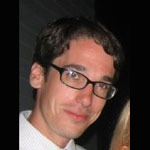 Ian Bickis is an award-winning journalist currently working as a multimedia reporter for The Northern Miner, the world’s largest mining newspaper. His work has also appeared in local and national media outlets such as CBC radio and television, the Globe and Mail and the Vancouver Sun. 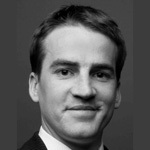 His future plans include more in-depth international reporting. 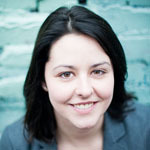 Shira Bick is an award-winning reporter who graduated from the UBC School of Journalism in 2009. She currently freelances in New York City. 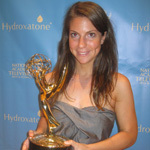 Krysia Collyer is an Emmy award-winning journalist. She was part of a team of 10 students who travelled abroad to investigate electronic waste practices in a documentary for PBS FRONTLINE/WORLD. Since completing her Masters degree in Journalism at UBC, Krysia won the prestigious CBC Joan Donaldson scholarship, allowing her to report for CBC radio and television in Ottawa. She has gone on to work for NBC Nightly News during the 2010 Winter Olympics, and can be found working on the Global News current affairs program, 16×9: The Bigger Picture. Allison Cross is a journalist based in Toronto. 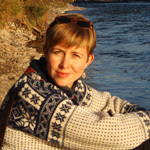 Her work has appeared in the Toronto Star, the Globe and Mail, the Vancouver Sun and The Tyee. In 2010, she spent a month reporting on terrorism and piracy from a Canadian warship patrolling the waters off the coast of Yemen. She spent five months in 2009 living in Sierra Leone, freelancing and working for Journalists for Human Rights. Dan Haves is a graduate from the University of British Columbia School of Journalism who has co-produced documentaries for FRONTLINE/World (PBS), Around the World (CBC) and Dan Rather Reports (HDNet). His work has taken him from the crowded streets of Hong Kong to the deserted mountains of northern India. 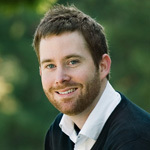 Originally from London, Ontario, Dan graduated with a BA in Film Studies from the University of Western Ontario. He is currently a junior associate producer with CityTV as well as the communications officer for the Dalai Lama Center for Peace and Education. 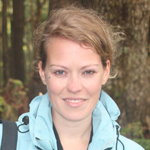 Since completing her Master in Journalism, Doerthe Keilholz has freelanced for Global National, XtraWest, OpenFile, The Vancouver Sun, The Tyee and Deutsche Welle Radio, a German public broadcaster with an international focus. One of her most rewarding journalistic assignments was covering the US presidential elections in 2008 for Deutsche Welle Radio. Her focus is in community reporting, human rights and social issues. Jodie Martinson is a documentary filmmaker and journalist who divides her time between CBC Radio One and independent documentary film productions. Her current project is a story about a woman who was a top wife to rebel warlord Joseph Kony, leader of the Lord’s Resistance Army in Uganda. She lives in Vancouver, BC. 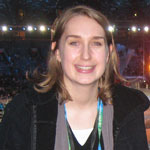 Leslie Young is a 2009 graduate of the UBC School of Journalism. 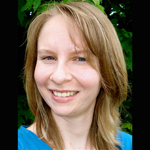 Since graduation, she has worked at CBC Radio on local and national programs and written online pieces for OpenFile. She currently works at Global News in Toronto, putting together investigative projects and developing creative ways to tell stories online as part of their Specials and Interactive unit.